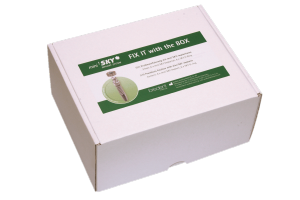 miniSKY implants enable you to offer your denture wearing patients considerably improved quality of life simply and without major surgical procedures. The use of diameter-reduced implants is strongly recommended for certain indications. 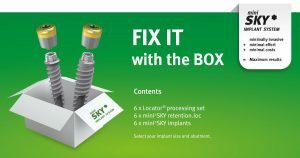 miniSKY offers you an implant system that is perfectly matched to these indications and results in better quality of life for your patients with just a few components, a modern surface and an advanced and simple prosthetic concept. miniSKY can be used as a one-piece implant with ball head or as a two piece implant as well.